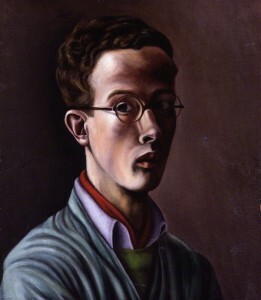 Self portrait by (Maurice) Denton Welch, oil on hardboard, circa 1940-1942, National Portrait Gallery. When I was twenty, I traveled to London to study for a year at University College. It was shortly after 9/11 and the flight was so empty that I was able to lie down across four seats and sleep. My dorm turned out to be a dreary, brutalist, self-catered affair in Camden Town, and it would take me a while to work out that the pervasive gloom that dogged me day in and out was a product not of my environs but of the onset of the clinical depression which I would not have diagnosed and treated for another two years. I’m sure I romanticized my former self during this time, but I knew I had changed. I had always taken pleasure in a thousand small things every day: a good cup of coffee, a furious baby, a funny typo, a teenager who couldn’t smoke a cigarette properly, a bizarre exchange on the subway, the fact that neck ties serve no practical function. Now, all that was gone. I could only think about myself, and it turned out I was boring. I didn’t recognize the sad, unstable girl who suddenly seemed unable to contain her emotions or find joy in life’s small things, who gave into uncontrollable crying jags and alternated between a gnawing loneliness and an unwillingness to subject anyone to her company. I’d never understood suicide; now, in my lowest moments, I didn’t understand how anyone even found the mental energy for it. My parents were baffled, alternately irritated and frightened by the change in me. 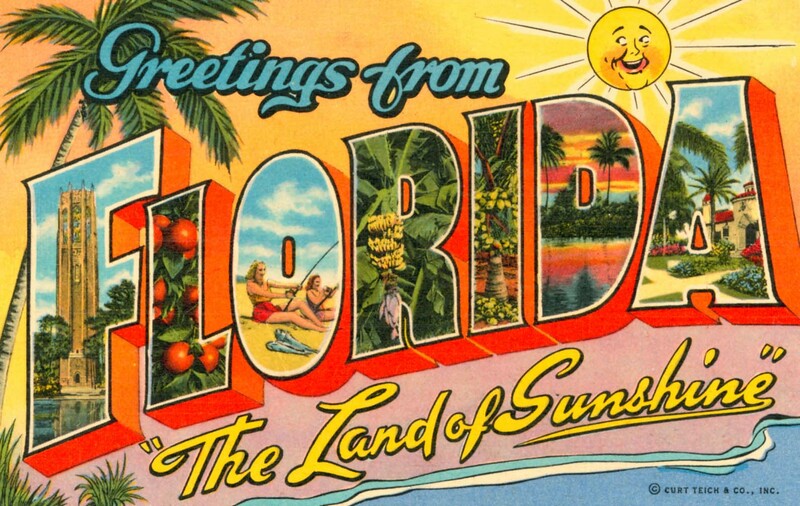 “Brisk walks” and sunshine were prescribed by my mother. A small television was proposed, and duly purchased. My father, inexplicably, recommended repeatedly that I “go to Piccadilly Circus,” of which he had vague and apparently distorted memories from a trip in the late 1960s. I stared at all the types, and a terrible feeling of loneliness swept over me; this in spite of my special wish to be alone that night. I felt that everyone was cut off from me, that it would always be so, and that nothing I could do would ever make any difference. I turned away from the people hating them passionately, yet longing to be taken into their bosoms. On better days, I took the tube to Bethnal Green and visited the dollhouses in the V&A Museum of Childhood. At first, I’d made myself do it: this was the sort of thing that normally would have delighted me, and the thought that I couldn’t muster any enthusiasm for the initial outing was frightening. But sure enough, once I was surrounded by miniature Welsh cottages, the fully furnished three-foot models of sandstone estates, the Tri-And Tudor with its custom wallpapers, the familiar magic took over and I found myself enraptured. I’d always been fascinated by dollhouses, from the time I could remember. Back in New York, I’d begged my father to drive me to the Museum of the City of New York on weekends so we could visit the toys gallery; my bookshelves groaned with volumes covering the history of the medium from expensive adult novelty to design aid to children’s toy. I’d visited famous dollhouses at Windsor and in Paris and had secretly thrilled to the fact that my college was mere steps from Colleen Moore’s Fairy House at the Museum of Science and Industry. For those who have not felt the pull of these tiny worlds, it is probably easy to chalk up such passions to something arrested, or some sort of god complex, or maybe just an interest in the small and twee. Through the years, those who have some inkling of my interest have helpfully sent me articles about obsessives who paint ever-smaller landscapes with eyelashes, or medieval artisans who spent years carving biblical scenes in walnut shells, or pictures of elaborate architectural models. These are nice, of course, but not at all what interests me and, I’d venture to guess, those who share my obsession. Artistry is inexplicably bound up with the whole thing—of course it is—but it is the impulse to create a miniature human world that is intriguing, rather than merely the physical smallness itself. I had decided to mete out the treat of the dollhouse collection, rewarding myself for venturing out. 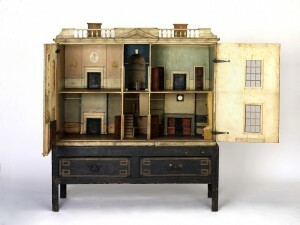 On each visit I explored one area, poring over each dollhouse. This was also a matter of self-preservation; I found the bounty on display so exciting, so wholly absorbing, that more than this might have proved overwhelming. It was therefore not until perhaps my third visit that I encountered a miniature Georgian mansion which a plaque informed me was the Denton Welch Dollhouse. Denton Welch was a twenty-year-old art student when he was struck by a car while riding his bicycle in Surrey. The accident fractured his spine, left him a lifelong invalid, and would lead to the complications that killed him thirteen years later. During a lengthy and very painful convalescence he ran across a shabby dollhouse in the cellar of his friend Mildred Bosanquet’s home and set about returning it to its original glory. Quickly, the dollhouse became his full-time project, and he excitedly updated his friends on its progress in a series of letters. Denton Welch with his dollhouse. This attention to the minute will come as no surprise to any lover of Welch’s writing. 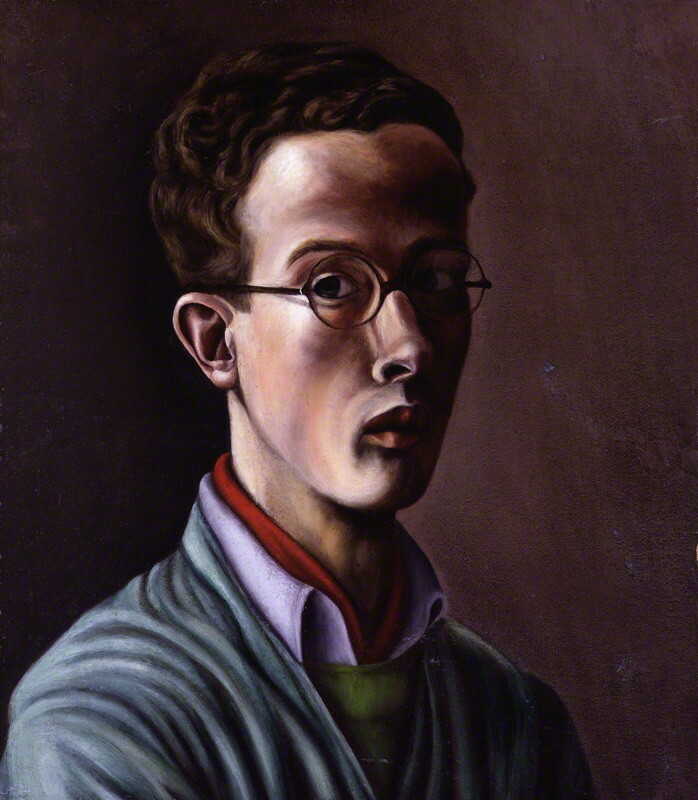 The three novels he wrote in the thirteen years following his accident—frankly autobiographical, peopled with the artists and writers who made up his circle—as well as the posthumously published journals, are noteworthy for their rapt attention to the aesthetic. Interiors, snacks, and landscapes are vividly described; table settings, the cut of a jacket or a woman’s brooch become almost characters in their own right. This, too, was an extension of Welch’s metafictional approach to writing; as he told a friend in a letter, his primary hobbies were “old glass, china, furniture, little pictures and picnicking alone.” His protagonists are misfits: alienated, implicitly gay, longing for love, frequently hard to be around, always fixated on small pleasures that compensate for an essential feeling of not belonging. Much as I might like to claim so, it would be an exaggeration to say that there is a well-documented tradition of writers applying themselves to miniatures. (Although I daresay an enterprising grad student could wrest a thesis from less.) Still, it’s a curious truth that several of my favorite authors have shared the obsession. All of them have brought a notable attention to detail to their work. And perhaps they understand, as did Welch, that this level of magnification and the emotional pull of a story are rooted in much the same thing. 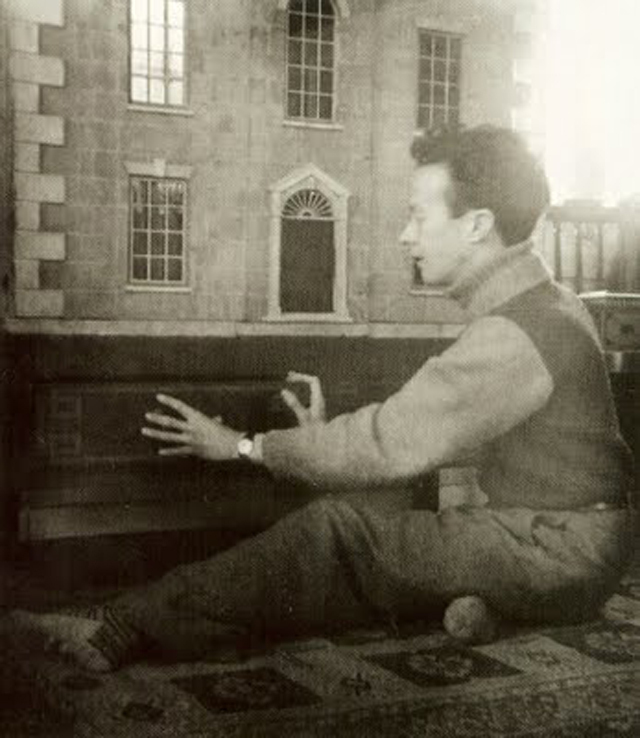 For all his love of detail, Welch left the dollhouse unfurnished. Indeed, it is an austere little house, elegant and restrained—and, along with his books, a self-portrait in the National Portrait Gallery, and the detailed pen-and-ink drawings he left behind, an important part of his idiosyncratic legacy. 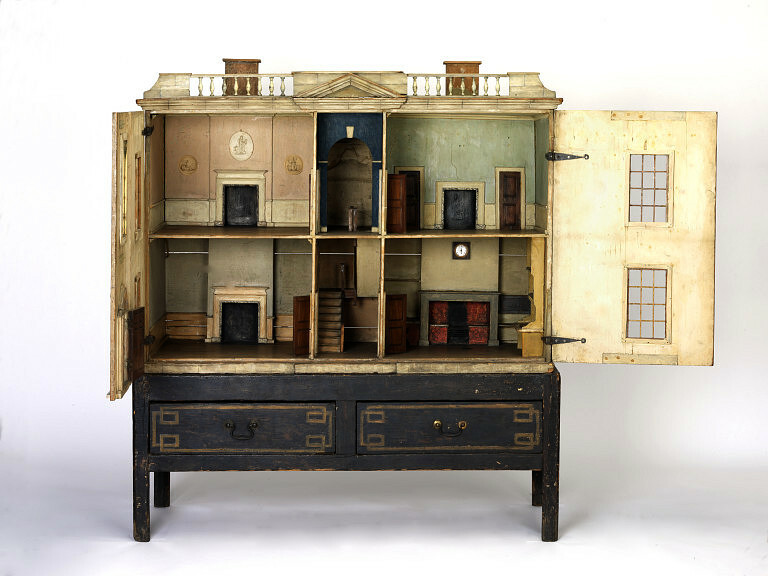 To those interested in eighteenth-century architecture, it’s interesting; to dollhouse lovers, fascinating; to Welch fans, essential; and, for those few of us on the intersecting bit of that particular Venn diagram—well, I need hardly say. I can’t pretend (again, much as I might wish to) that running across this dollhouse, just when I did, made an end to my youthful troubles. But I can tell you this much: not very long afterwards, I resurrected the collection of miniatures I had sheepishly pushed into a drawer when I moved into my Camden Town room (leaving them behind would have been out of the question) and may or may not have set about constructing an artist’s studio in a Top Shop shoe box. Because there is a great deal to be said for a world you can make, and perfect, and imagine. There is another passage from A Voice Through a Cloud that I highlighted during that period. It takes place after the narrator’s friend, a young man, has died unexpectedly in an accident. Initially prostrated by sadness at the senseless tragedy, the protagonist wakes the next morning to find that, somehow, he can go on. Life seemed now nothing but a long reverie, made up of imaginings and memories of childhood. Over this sunken, buried life, the facts of every day rippled and tinkled like a shallow stream; and they seemed to move so rapidly that I had no time for reflection. I was only able to note them with a flickering interest; then they were gone, hidden and submerged by new happenings.